These drinks tokens are perfect for distributing amongst guests during the latter part of your wedding day or if you are welcoming additional guests to an evening celebration. 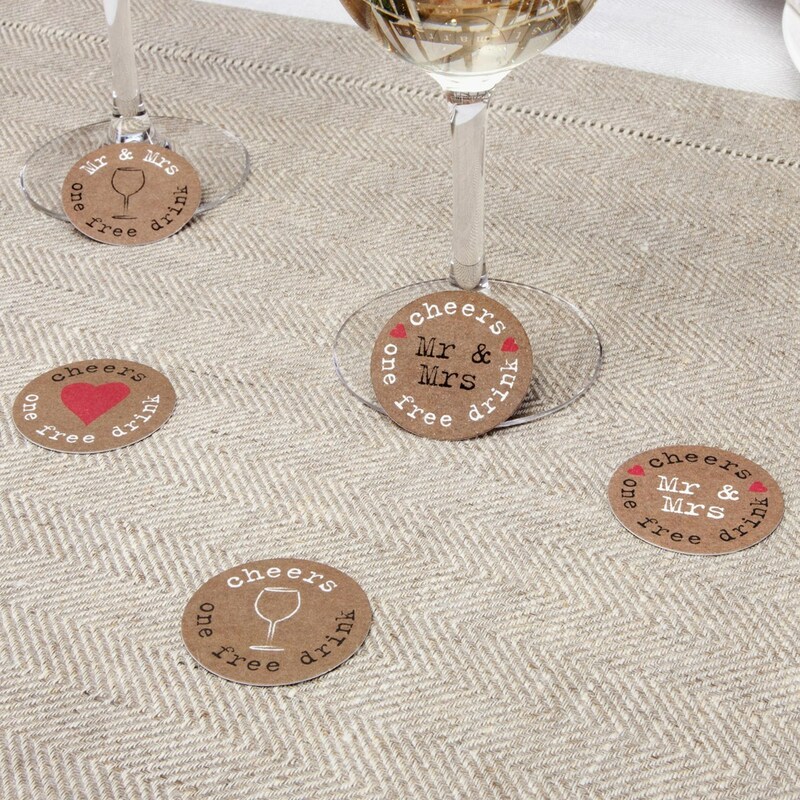 Offering each guest a free drink, these tokens are supplied in a pack of varying designs, and combine bold, vintage-style typography with simple, graphical illustrations, including a wine glass and red love heart. Each pack contains 25 tokens.